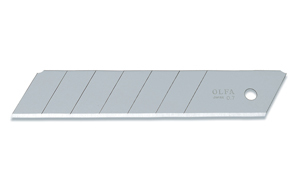 Olfa Heavy Duty Knife XH-AL Model 1104189 25mm. Fiberglass-reinforced Auto-Lock Utility Knife. Rubber grip and chemical-resistant handle. Snap off blade and channel that extends the length of the knife. 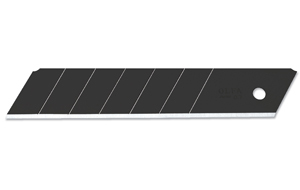 You'll Find countless Uses For This OLFA Utility Knife. And You'll Find Countless Excuses To Use It, From The Secure Rubber Grip and Chemical-Resistant Handle to the Snap-Off Blade and Channel That Extends The Length of the Knife. Comes with 1 HBB blade. 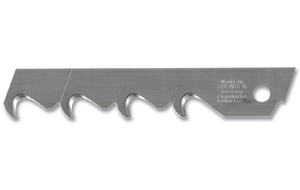 Uses replacement blades with part number beginning with the letter H. A good knife for general construction and industrial maintenance. Cuts leather, rubber, rope, fiberglass, acetates and more.